Anand is a respected global digital health leader—most known for his insights on and experience with technology, strategy and regulatory policy. Anand has been instrumental in WellDoc’s success and the development of BlueStar®, the first FDA-cleared mobile prescription therapy for adults with type 2 diabetes. Since joining WellDoc in 2008, he has held core leadership positions that included Chief Data Science Officer, President and Chief Operations Officer. In 2013, Anand was named “Maryland Healthcare Innovator of the Year” in the field of mobile health. Prior to joining WellDoc, Anand was already an established thought leader in the field. He had served as the Director of PRTM’s wireless practice, where helped companies take advantage of disruptive technologies, business models and process models offered by and enabled by advanced wireless communications. 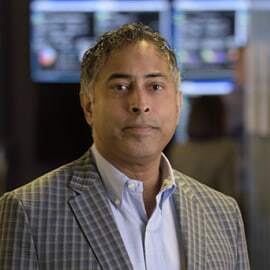 Anand was the founder and immediate-past president of the In-Building Wireless Alliance, and teaches advanced wireless courses to senior officers in the US Department of Defense at the Institute for Defense and Business. Prior to joining PRTM, Anand was a member of the scientific staff at Bell Northern Research and Nortel Networks. He holds an MS and a PhD in electrical and computer engineering, and an MBA from Carnegie Mellon University. He also holds a BS in electrical and computer engineering from Carleton University.